40 Years Of Experience In Handling Personal Injury Claims And Wrongful Death Claims for Truck Accidents In Lakewood & All of California! A total of 30,057 fatal motor vehicle crashes occurred in the United States in 2013, out of which the death toll is more -- 32,719. In California, fatal motor vehicle crashes were 2,772, and the death toll went as high as 3,000. We are very experienced personal injury & wrongful death lawyers handling accident injury claims for Lakewood, Los Angeles County, California, covering truck, car and different types of accident and personal injury cases. We also forklift and lift truck accidents; bicycle, bus, train, uninsured motorist (UM) and pedestrian accidents; premise liability and dog bite accidents; and many wrongful death cases. Our knowledge, skill, expertise and, perhaps most importantly, compassion for our own clients will help you both succeed and be comfortable in your personal injury case. 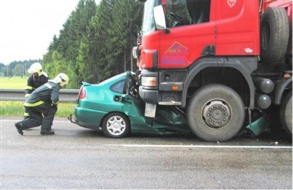 Our aggressive lawyers and legal team aim to recover the maximum compensation allowed under California law for our clients who are victims of a serious or fatal truck accident in Lakewood, Los Angeles and other parts of California. You can contact us for a completely FREE and confidential case consultation & case evaluation. Our attorneys and law offices provide truck accident and personal injury legal services for all of Lakewood, LA., and California. To know more about how we can assist you further in your specific case and what you need to do to protect your rights and comply with required deadlines and other rules, please call us now at 818-222-3400 or 1.866 INJURY 2 (after hours, please press “1”) or visit our contact us page. For more information on our experienced and successful lawyers, check out our home page and lawyers’ profile page, and also our personal injury & wrongful death case testimonial pages. The city of Lakewood in Los Angeles County, California has a population of 80,048, according to the U.S. Census 2010. Bordering cities of Lakewood, Los Angeles include Long Beach, Bell Flower, Cerritos, Cypress and the Hawaiian Gardens. 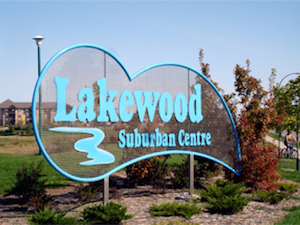 Lakewood city is considered the perfect example of a post-World War II American suburb, sometimes even called “an instant city,” given that it transformed from lima bean fields in 1950 to a well-developed city by the 1960s. The San Gabriel River Freeway (I-605) runs through the city's eastern regions and is a location of many catastrophic truck, car and motorcycle accidents. Please call us at 1-866-INJURY 2 or 866-465-8792 or 818-222-3400 (after hours, press 1) for a FREE, no-obligation & confidential consultation. Fill-in our contact form, and learn more about your options. FREE Consultation and on accident injury cases CONTINGENCY FEES -- NO Fee Until You WIN!